You might have heard of goji berries and their health benefits. Their history as a medicinal plant has roots in ancient China. 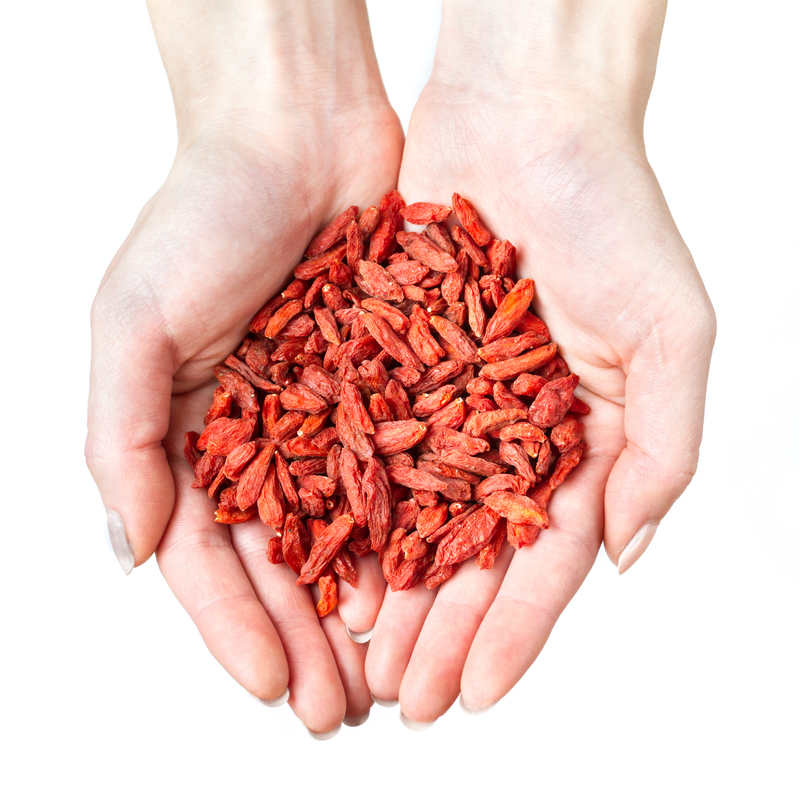 Many people use goji berries to treat, or simply support, eye, liver, and kidney ailments. Also known as wolfberries, these festive red berries have a sweet, slightly-sour taste and often come in dried form, like raisins. Choose organically certified products to avoid pesticides. Are goji berries a superfood? Maybe! These berries contain all 8 essential amino acids. A single 4 ounce serving provides nearly 10 percent of your daily value for protein. For fruit, this is a surprising amount of protein. Always talk to your doctor before you begin eating goji berries. Some companies may say they have less side effects than medications. But, goji berries can interact with any medications you’re currently taking. Aim to eat no more than a small handful a day, about 10-30 grams. The following recipe is “loaded” with antioxidants, including the quinoa, extra virgin olive oil, orange slices and of course, the goji berries. Enjoy! To cook quinoa, rinse and dry amount first in cold water, then add to boiling water into which the vegetable cube has dissolved. Reduce heat to low, cover and simmer for 15-20 minutes. When cooked, cool quinoa and add olive oil, lemon juice and seasonings. For more antioxidant power, add some turmeric to taste. Gently mix the pomegranate seeds, nuts, scallions and berries into the quinoa. Taste and adjust seasonings. Serve with sliced oranges arranged on a platter and dressed lightly with olive oil.